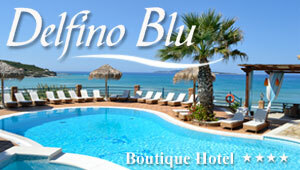 Every summer, Corfu island attracts thousands of tourists and has become a favorite destination for summer holidays. The historical and religious monuments, the picturesque villages, the beautiful nature and the hospitality of the locals offer memories difficult to forget. Corfu Town is a gem for sightseeing with many monuments from the Medieval times, including the Old Fortress, the New Fortress, Liston Promenade and the Church of Saint Spyridon, protector of the island. Visitors should not miss the quarter of Kanoni, a bit outside Corfu Town, with the nice view to the Mouse Island and the chapel of Panagia Vlacherna. Very impressive sights in Corfu are also the Achilleion Palace, the Monastery of Paleokastritsa and the Fortress of Angelokastro. In this section, you can see the best Corfu Sightseeing. You can also view all things to see in Corfu by category: villages, beaches, museums, and churches or view our suggested excursions. The Old Fortress of Corfu stands next to Spianada square and Liston. It is an impressive castle built on a peninsula into the sea and connected to the mainland by a narrow bridge. A lighthouse stands on its top and offers a great view of the town and the sea. The Museum of Asian Art of Corfu is the only Asian museum of Greece and is housed in the Palace of Saint Michael and Saint Georges. It was founded in 1927 after that Gregory Manos, an ambassador, donated to the prefecture its private collection of 10, 500 objects of Sino Japanese origin. The museum was first a Chinese and Japanese Art Museum (until 1974) and became an Asian Art Museum later when its collection was enriched with other private collection objects and items from Asia. This fortress is also known as the New Fortress of Corfu, in contrast to the Old Fortress near Spianada square. It played an important role in the protection of the town against pirates and enemies in Medieval times. The entire fortress is an intricate network of compartments and galleries. The archaeological museum stands in Vraila Street, near the Garitsa coastal road and was built to house the Gorgon pediment from the temple of Artemis which was found in the area of Paleopolis. This pediment is dated back to 580 BC and is supposed to be the oldest one in Greece. In the archaeological museum of Corfu, visitors will also admire other founds from excavations from the archaeological sites of the island, from the ancient town of Cassiopeia and items from a private collection. The region of Kanoni and the Mouse Island (Pontikonisi) is the most picturesque spot of Corfu Town. High up on a hill, there is a canon and from there people can see the Mouse Island and the little church of Panagia Vlaherna, linked with the mainland with a narrow pathway. The church of Saint Spyridon is located in the Old Town of Corfu, right behind Liston. It has the largest bell tower of all churches in the city and it is its red dome that visitors first see when they arrive by boat to Corfu. This saint is the protector of the island, as the myth says that he saved the town from a plague in the 17th century. Built in the 13th century on the hill of Paleokastritsa, the monastery houses a small museum with Byzantine and post Byzantine icons. The museum gives great views to the sea and it is open to visitors. This Aqualand is said to be the most amazing water park in Europe and the third largest in the world! It has many fun water games, including the Crazy River and the Black Hole. It is located in Agios Ioannis village, close to Corfu Town. Description: The beach of Agios Gordios is one of the most popular beaches in Corfu. The sandy beach is surrounded by impressive rock formations, much greenery and tourist facilities. Description: The beach owns its name to the beautiful Monastery of Virgin Mary Myrtiotissa which is located just above it. It is an unorganised beach, totally unspoiled and unofficially nudist. Description: Nissaki is among the most beautiful beaches in Corfu. A lovely shore with soft sand and rock formations around, this picturesque spot has amazing blue green water. Description: Issos is a magnificent beach located on the southern side of Corfu. The endless seashore with golden sand and crystalline waters makes a magnificent beach. Description: The famous coves of Canal d'Amour are situated at the west of Sidari, on the northern side of the island. It is one of the most impressive and photographed spots of Corfu.